Here’s the thing about searching for a pair of headphones that cost several hundreds of dollars – you have tons of options to pick from. Narrowing it down to just a few isn’t all that hard though. You just have to identify your needs and choose from a more filtered selection. So if you are looking for a pair of headphones meant for studio environments or DJ work, a pair of monitor headphones should be the category to focus on. Monitor headphones are all about hearing every possible detail in a recording and to achieve that, the headphones should have a very flat frequency response. The Audio Technica ATH-M50x is a pair of headphones meant for monitoring but it doesn’t solely target the DJ and producer crowds. Anybody who has been praying for something that can sap away the hype generated by all those other consumer headphones products that are big on bass will find some natural relief with the ATH-M50x. It is all about natural and clean sound. However, Audio-Technica wants to make it clear that the ATH-M50x is still made towards a special audience. Casual listeners may gravitate towards a more consumer product once they find out that a headset cable isn’t included in the package. This means you won’t be able to engage in conversations with the ATH-M50x when connected to a smartphone. In fact, there is no integrated microphone at all. The only extras included in the package are a pair of cables, a 1/4-inch screw-on adapter and a basic travel pouch. On the upside, the build quality of the ATH-M50x is very impressive especially considering the $239 price tag. The earpads of the ATH-M50x are fairly large but not too large to stick out in an ugly way. 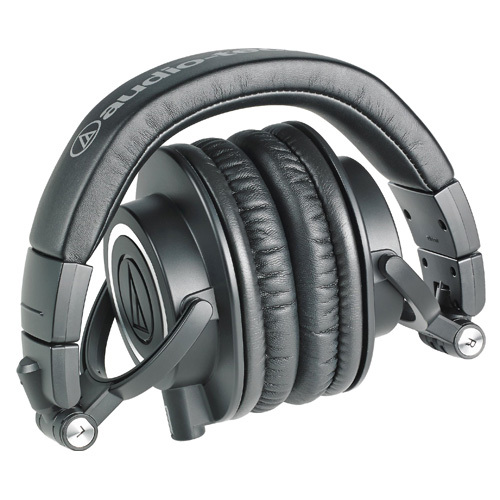 Audio-Technica managed to find the sweet spot between comfort and looks. The padding on the headband spreads out the pressure nicely and the grip is on the medium side so you should feel pretty comfortable wearing this pair of headphones for a reasonable listening period. Being a monitor headphone, the ATH-M50x isn’t exactly the most travel friendly. Yes, you can collapse the headphones into a compact profile but there is still that added bulk compared to a typical consumer pair of headphones. The included travel pouch is on the basic side but it at least adds a little protection which is a must if you are making this kind of investment. Sound quality is good across the board so you can literally throw any music at it and enjoy details that you can never hear on a standard pair of headphones. Even with the details obvious, the treble remains smooth and the bass is indeed noticeable but not too emphasized. It doesn’t do a stellar job with noise isolation but that was never really the focus of the ATH-M50x anyway. 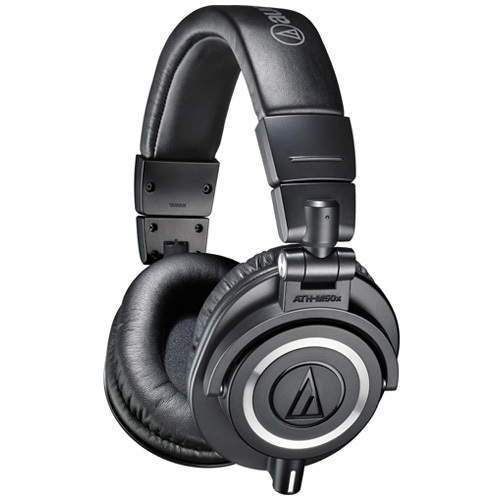 The Audio Technica ATH-M50x is simply ideal for its targeted audience the asking price is just right. The excellent build quality, tight bass and overall balanced sound are more than enough reasons to consider this product.